Music composition and creative writing collaborators and student colleagues Ryan Suleiman and Cristina Fries. When composer and doctoral student Ryan Suleiman read a fantastical tale by his colleague Cristina Fries, he knew she was the writer he wanted to collaborate with on a project teaming UC Davis music composition students with creative writing students. “I knew the story had performable elements and I wanted to see it performed,” said Fries, a graduate student in creative writing. May 3, noon, Ann E. Pitzer Center, free. Violinist and violist Miranda Cuckson will premiere seven student pieces. May 8, 7 pm., Peter J. Shields Library, free. Diane Seuss, a finalist for the 2017 Pulitzer Prize, will give a free reading. May 10, noon, Pitzer Center, free. “Creative Writing” concert with collaborations by Chris Castro and Joy Ding; Addie Camsuzou and Luke Munson; Ryan Suleiman and Cristina Fries; Kurt Rohde and Scott Hunter; Sam Clark-McHale and Madeline Gobbo; and Sarah Wald and Brendan Higginbottom. May 11, 7 p.m., Pitzer Center, $20/$10. “It wasn’t a dream,” by Kurt Rohde, text by Diane Seuss, and music by Harrison Birtwistle and Kaija Saariaho. May 17, noon, Pitzer Center, free. Kurt Rohde, who is a violist, with pianist Jared Redmond, will give a concert of recent music by Redmond, Ramteen Sazagari, a graduate of the music department, and others. May 20, 3 p.m., Pitzer Center, free. The Empyrean Ensemble premieres six student works. May 25, 5 p.m., Pitzer Center, free. Percussion students perform music by composition students. Over several months, they created through song a dreamlike world of disorientation and loss. Fries pared the text to make it shorter and singable, a process that made it more lyrical and abstract. Suleiman experimented with musical ideas that expressed the characters and plot. With Suleiman at the piano, they exchanged ideas about how to find the right feel. “There had to be a broader, more ‘sound-based’ discussion, since it wasn’t possible for Cristina to point to the exact bar number, rhythmic figure or chord in the written musical score,” he said. “We had to come up with language to talk about it,” Fries said. The student collaborations grew out of others in the College of Letters and Science. 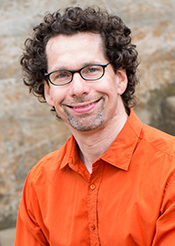 Rohde had been awarded a composition commission by the Brooklyn Art Song Society and that led to the group working with UC Davis student composers. For his piece, Rohde was using poems by the Diane Seuss, who he met in 2016. The music and English departments worked together to coordinate a campus reading by Seuss the same week that Rohde’s piece is premiered. Those discussions opened the door to the writing and composing student collaborations. Rohde’s “It wasn’t a dream,” a six-part song cycle, draws text from Seuss’ collection Four- Legged Girl. Four of the six songs will be premiered May 11 at UC Davis with the entire work being premiered in New York on June 1. Seuss was one of three finalists for the Pulitzer Prize last year and is author of four books of poetry including Still Life with Two Dead Peacocks and a Girl, published in March. She will wrap up this year’s Department of English Creative Writing Reading Series on May 8. Faculty and students in the music and art departments have teamed up in the past, but this is the first writing/music collaboration. The 2016 hiring of Katie Peterson, a creative writing professor, who is married to and has collaborated frequently with Young Suh, an art professor, also helped build stronger ties between the two areas. Clark-McHale and Gobbo, who is also a visual artist, have also teamed up for a performance and video for a graduate student exhibition opening May 30 at the Jan Shrem and Maria Manetti Shrem Museum of Art. That exhibition may be the greatest expression of collaboration in the arts at UC Davis with students from art, music, design, creative writing, theatre, art history — and even French — taking part. Read more about the UC faculty, student collaborators here.